People come, people go. Nothing ever happens. I learned from my students on Monday night that "Grand Hotel Style" in Japanese-English (グランドホテルスタイル) means a film that has a large cast of characters and multiple plotlines. One of my students was doing a presentation on the young filmmaker Kōki Mitani (三谷幸喜) who employs such a style in his latest film Hotel Avanti (aka Uchoten Hotel, 有頂天ホテル , 2006). From the trailer, it looks like Mitani's new film was at the very least inspired by the art deco style and setting of the original Grand Hotel (Edmund Goulding, MGM, 1932), starring Greta Garbo, John Barrymore, Joan Crawford, Wallace Beery, Lionel Barrymore, and many more. The film won the Oscar for Best Picture of 1932 and it's easy to see why. The plot clips along at an admirable pace, providing lots of good dialogue, comedy, and story information but never boring for an instant. Re-watching the film today, I loved the way they used wipes to move from one plotline to another. Wipes were used a lot during the silent film days but by the 1950s were only used during musicals or comedies.Dissolves became a much more popular way to move between one time / place and another. I can remember some really comical wipes and split-screens used in the over-the-top Rock Hudson / Doris Day flick Pillow Talk (Michael Gordon, 1959). It is only recently that split screens and multiple screens have come back into fashion thanks to digital technology and the clever use of multiple screens in the TV show 24. Coincidentally, I was reading this week about Kurosawa’s use of the wipe in Rashōmon and Ikiru among other of his films in James Goodwin’s book Akira Kurosawa and Intertextual Cinema. Various theories are imparted to Kurosawa’s aesthetic choice from Metz going on about trucage to theories about the different directions in which Japanese people read. My personal theory is that Kurosawa just thought it just looked pretty cool. I think it’s a much more fun way to move between scenes than a dreary dissolve.Dissolves are for dream sequences, whereas wipes impart a certain vigor and dynamism to the edit. It is as though the next scene is so eager to begin, that it sweeps aside the previous scene with a certain amount of finality, while the previous scene is pretty reluctant to go and hangs on until the last possible minute. In Grand Hotel, with all the stars vying for attention just like the seven cowboys in the Magnificent Seven, the wipe is a pretty apt metaphor. At some point I must look up some of the production details about the making of the film at MGM. 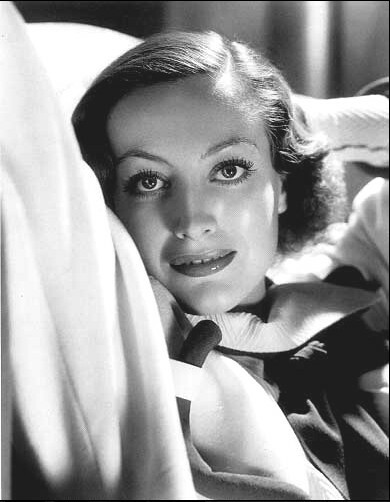 I do wonder about the relationship between Greta Garbo, a star at the pinnacle of her success, and newcomer Joan Crawford. I’ve placed one of Crawford’s publicity stills from this picture at the top of this entry because I feel that she really does outshine Garbo in this one. Don’t get me wrong, I do love and respect Garbo, but Crawford’s role as Flaemmchen has much more meat to it than Garbo’s airy, fairy Grusinskaya. Grusinskaya waltzes about her hotel room and moans about her fading dance career, while Flaemchen acts impulsively and decisively in her own best interests throughout. I noticed that there were no scenes in which the two stars appear together and I wonder if that was Garbo’s decision. I once heard that more scenes had to be added to the film so that Crawford wouldn’t steal the picture out from under Garbo’s feet. Well, I think she does anyway. The chemistry between Garbo and John Barrymore is good and their romantic scenes together are well-acted and well staged (wonderful lighting, in particular), but I cannot believe for a minute that Barrymore’s character would have gone for Garbo’s after meeting the sultry young Joan. In contrast to Garbo’s staginess, Crawford portrays Flaemmchen in a very naturalistic way. I used to think that Crawford herself was quite stagy in every role I had ever seen her in, but that was before I was introduced to Crawford’s early films. When Nadine showed me Our Dancing Daughters (Harry Beaumont, 1928), I was won over. Crawford was so full of vitality that she was mesmerizing [aside to MGM or whoever owns the rights to Our Dancing Daughters, Our Modern Maidens, and Our Blushing Brides: GET THEM OUT ON DVD!! It is truly shocking that Oscar nominated classics that were so popular in their day are not available for collectors yet apart from on lousy secondhand VHS tapes!!]. The most wonderful image in this film is the revolving door, and there are few films with such a wonderfully comic and ironic ending – crusty old Dr. Ottenschlag saying “The Grand Hotel, always the same. People come, people go, nothing ever happens” with a Viennese waltz coming in and crescendoing over the image of the ever-revolving door. Sigh – if only every film could go out with such a wonderful talking point surprising and delighting you at the end!